This is a very unusual Aeronca from the pre-war (WW-2) period. 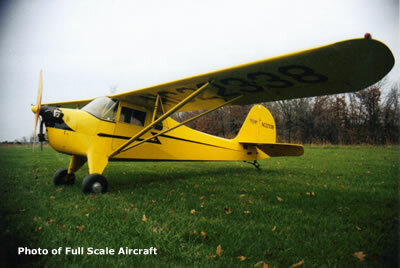 This plane is the Aeronca equivalent to the J-3 Cub. Scale fidelity is good to excellent and shows such things as a scale two cylinder engine and operating cockpit door. This model will certainly stand out as an unusual and attractive subject at the flying field.